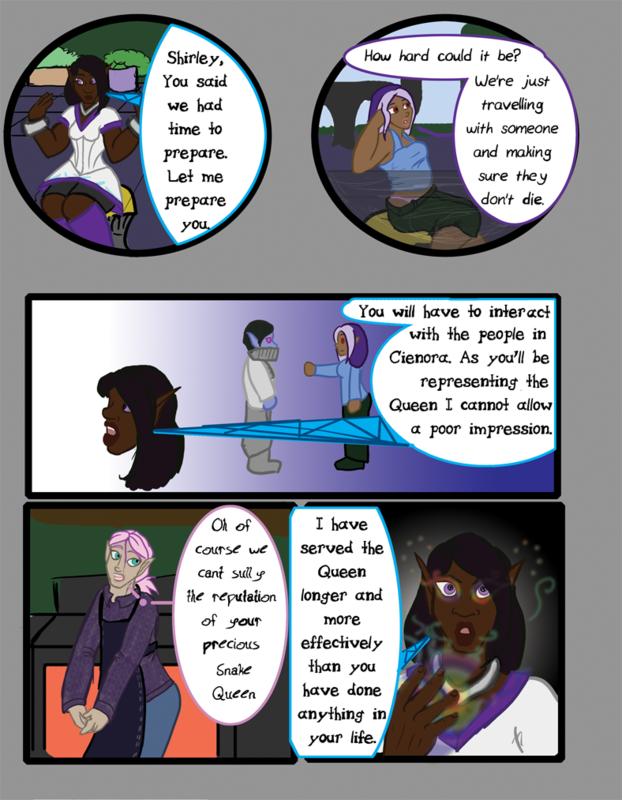 Chapter 06- Prepare - "Chapter 6 Page 12"
Nievu: Shirley, you said we had time to prepare. Let me prepare you. Wynn: How hard could it be? We’re just travelling with someone and making sure they don’t die. Nievu: You will have to interact with the people in Cienora. As you’ll be representing the Queen I cannot allow a poor impression. Nievu: I have served the Queen longer and more effectively than you have done anything in your life.